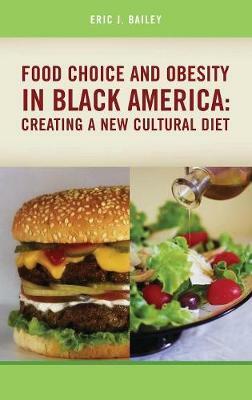 Anthropologist Eric Bailey uses a cultural and holistic analysis of African American food preferences to show how black Americans generally perceive health, body image, food, dieting, physical fitness, and exercise. As is true of Americans overall, black Americans are becoming more overweight and obese than ever before. So, too, they are seeing the consequences: heart attacks, strokes, hypertension, and Type II diabetes at earlier and earlier ages. Bailey offers a new cultural diet for black Americans and a prescription for working collectively, not only to understand this critical health issue, but also to establish a lifestyle strategy that will be both effective and manageable.